We're proud to be ensuring that the unique perspectives of women and girls are included in the conversations that shape our city. To ensure women's rights, issues, and opinions are represented fairly and equally from every background including social, cultural, physical and occupational. 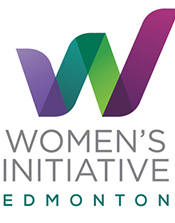 The Women’s Advocacy Voice of Edmonton (WAVE) Committee, formed to bring female community leaders together to help advance the work of the Edmonton Women's Initiative, will help to advance this initiative. The Women’s Initiative will facilitate networking opportunities through an annual symposium, focused gatherings and other opportunities. Through mentorship opportunities, the Women’s Initiative wants to increase leadership within the City by encouraging women to actively engage in civic and political life. This includes addressing the need for equal access to employment possibilities. Universal research into other municipalities will identify best practices that can be incorporated into the Women’s Initiative mandate and activities. This includes recognizing issues and opportunities, and profiling the demographics and psychographics of women. In 2012, several community forums and conversations were held, reaching out to over 700 diverse women to talk about women's issues, engagement and leadership. This phase of the work was spearheaded by then-mayor Stephen Mandel. His vision is supported and now championed by Councillor Bev Esslinger and Mayor Don Iveson, and the City’s Community Services Department (now Citizen Services Department). 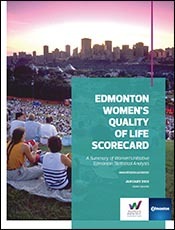 The scorecard provides an opportunity to review quality of life indicators for women in Edmonton and identify areas of progress, as well as those in need of attention. Meeting schedules, agendas and minutes, members' bios and other resources. This is a chance for women and girls to be heard, for diverse perspectives to be embraced, and for a gender lens to be applied to today's decisions that impact everyone's future. Gender-Based Analysis Plus (GBA+) is a tool to looking at how different genders and diverse people experience policies, programs and initiatives. The F-word: Feminism. It doesn't need to be a dirty word. Here's what we mean when we use it.